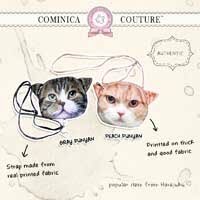 But, I feel better since yesterday ◕ ‿◕, So I decided to make this review which sponsored by LiliesShop. They've sent me few samples of Lioele products for a review purpose, however, I always write my honest opinion and I'm not get pay for this (lol, some of my friends ask it). LiliesShop sell many Korean cosmetics brand, check out their website if you love Korean cosmetics. Liles sent me 5 products to try, However I've already try two of them, they're Lioele beyond solution bb cream and Water drop bb cream, you can see the review here. 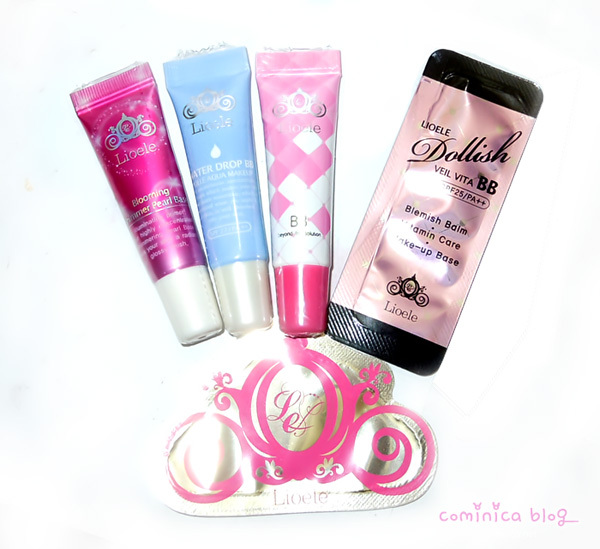 So, I use the Lioele dollish veil vita bb first, it has SPF 25 and PA++. This is a blemish balm with vitamin which use for make up base, that's why I use this cream first as a base. The liquid texture is like a liquid foundation but easy to blend. After use I feel my skin look more fresh and smooth the texture of my skin, do you see the difference? My face without anything is have many flaws here and there, after apply this cream it looks more smooth. 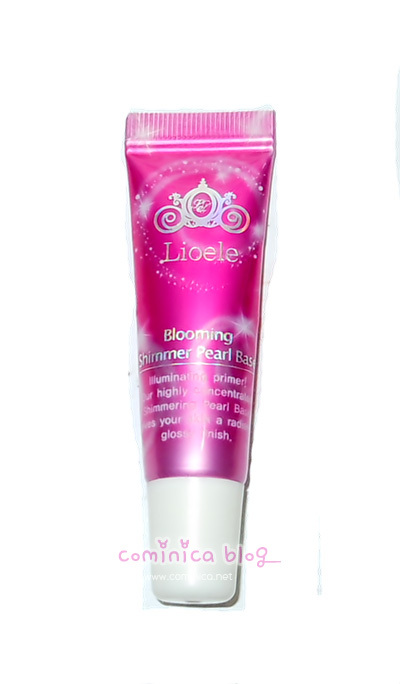 Then, I use Lioele the triple solution bb cream. Okay, this bb cream suprised me!!! （゜◇゜） It has a really nice coverage and doesn't look glowy. It covers my flaws and spot, my skin texture look so smooth, wow! The coverage is better than Missha Perfect Cover, it's not hard to blend and the texture is thicker than Missha IMHO. The tone is bit yellow but that's okay, it makes my skin not look so pale and more healthy. See the swatch on my cheek. After that I use the shimmer bb base on my cheek bone, chin and my forehead. I don't think the shimmer really show on this picture, so I capture other picture with flash. ✩ The shimmer pearl base makes skin feel moist and look healthy. 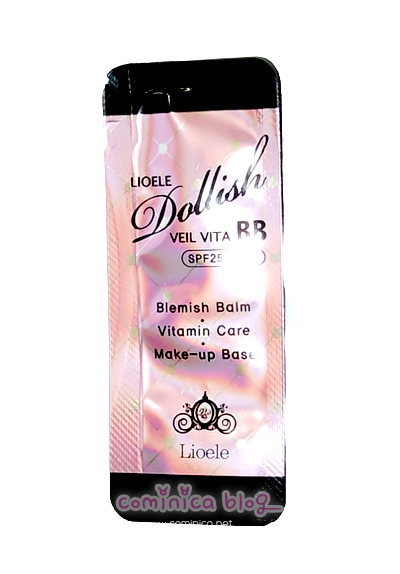 ✩ Lioele dollish veil bb is a nice make up base, makes my skin look smooth, even out skin tone and not blended so well with the bb cream. Definitely recommend this if you want have a bb cream which has a nice coverage. I'm happy finally I've found a great coverage bb cream, I always use Missha Perfect Cover and sometimes it makes me breakout. 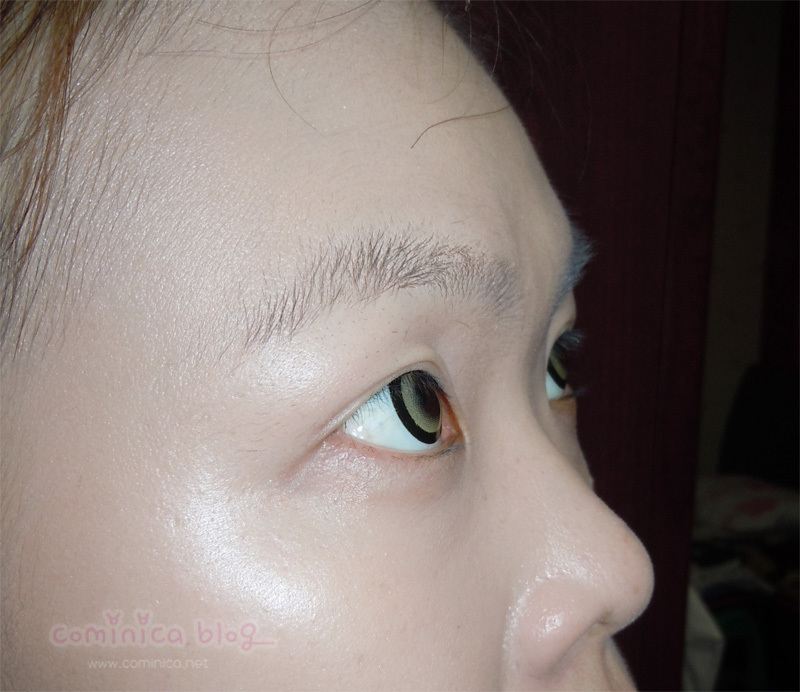 I hope Lioele doesn't make my skin breakout though, lol it must be really annoying =3=. ooo great flawless finish (: thanks for sharing! I follow you now also on facebook!! I really like you blog!!! great post!! keep in touch! have a nice day!! i got the sample size for liole triple solution too.. 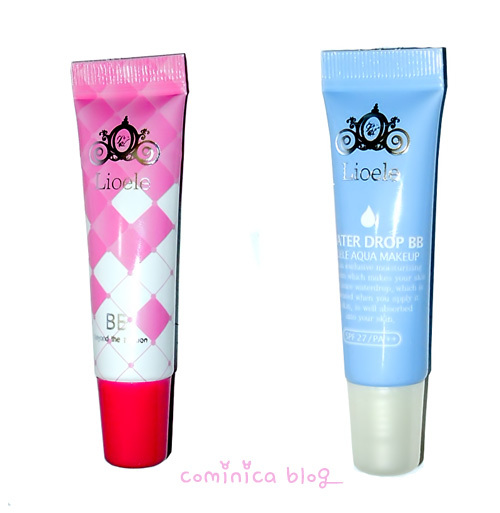 I have Lioele's Beypond the solution bb cream now :D I think Liolele's cosmetics are good in general (o3o) btw, your skin is so flawless, I envy you! i like the glowy finish of the pink tube one. P.S. Thanks for the super sweet comment! those products work so good on you! cute with or without make up! 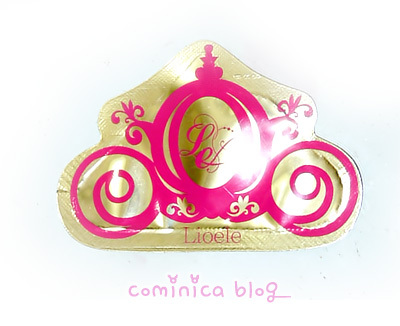 even sample but the packaging look cute =)love crown ! they also have a bb cream chart ! great reviews! i'm using dollish veil bb and have to admit its gorgeous effect of covering flaws (large pores, dark spots and acne scars) as well as leaving a natural and smooth finish on my face. 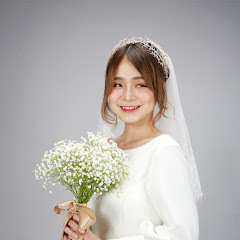 now the cc cream trend is rising and to be honest, i think dollish veil bb is a perfect combination between bb cream and cc cream while the other cc creams are usually lack of coverage ability.